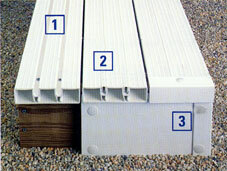 Once the base structure is in place, a deck can be installed in three easy steps. Line up Deck Planks and screw into place, similar to a wood board. Snap Deck Fill Pieces into place. Fill pieces even out the surface while concealing the screws. 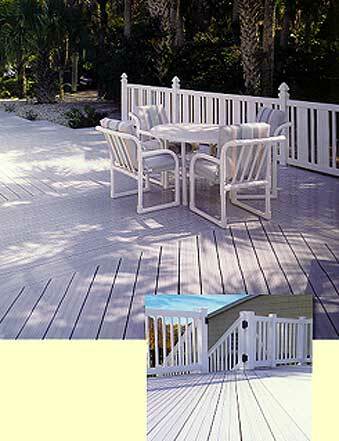 Slip Deck End Covers over exposed deck plank ends. End covers provide a smooth, finished edge. For an additional finishing touch, fascia boards are available.